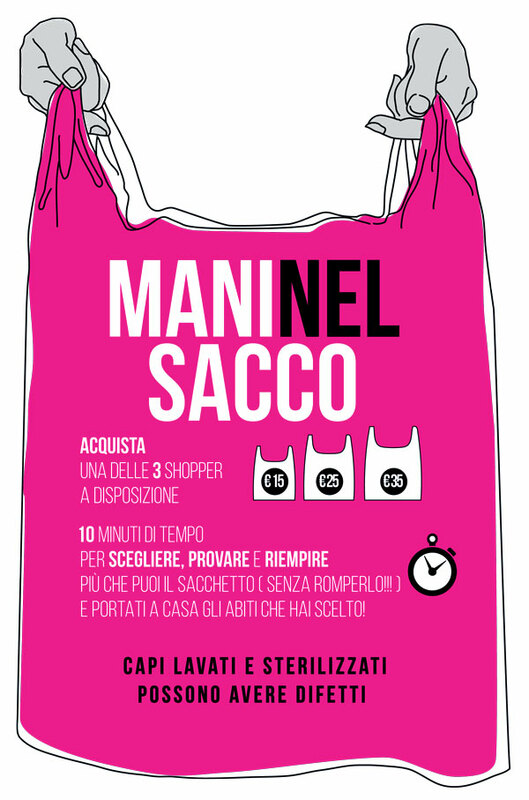 MANI NEL SACCO - 10 minutes of unbridled shopping - A.N.G.E.L.O. Have you ever dreamt of walking into a shop and buy loads of beautiful clothes at the smallest prices? We wanted to make this dream come true and we created Mani nel sacco ("Hands in the cookie jar"), the event where you can unleash your love for vintage and second-hand fashion with an overdose of shopping at cheap prices. 2) you have 10 minutes to pick up, try on and fill up your bag as much as you can (but don't break it!). Mani nel sacco challenges you to select and fill up your bag with everything you like before time expires. Be prepared: it can get highly addictive! Don't miss the next Mani nel sacco event: follow us on Facebook or subscribe to our newsletter to stay updated.